One of my guilty pleasures is to kick back on the couch after the kids are in bed with a warm blanket and the remote and binge watch old Martha Stewart cooking shows. I just love to watch Martha on tv and envision all of the amazing dishes and desserts I could be making. Martha uses is top notch equipment and I’ve been eying her professional food processor for a while. She uses it in almost every episode making flaky crusts from scratch and chopping, dicing and shredding all of her ingredients. In late November, I received an email from Hamilton Beach asking if I wanted to try out their new Professional 14 Cup Dicing Food Processor. I immediately clicked over to check out the food processor and watch the demo video. When I saw them dropping whole potatoes into the processor and getting perfectly diced, square chunks of potatoes, you know I emailed them back as quick as my little fingers could type, said YES, and could I please have a 2nd food processor to give away to one of my readers! To test out the food processor, I originally wanted to make shredded hash browns from scratch, but when I went to grab a couple of potatoes from the pantry, turns out we were growing little potato plants in there! I’d just gotten back from the store and didn’t want to make a 2nd trip for potatoes, so hash browns were out. Luckily, block cheese had been on sale, and I’d bought over 4 pounds; so shredding all this cheese was my first priority and the cheese would be perfect for our Beer Dip Recipe. Verdict? I love this food processor! *update: after about a year, my hamilton beach food processor cracked on the handle and I couldn’t use it anymore. I probably could have contacted there customer service for a replacement, but it was around mother’s day and I asked hubby to get the Cuisinart 14 cup elite for me as a gift. (yes, the one Martha uses, lol! I had hubby buy it when it was on sale at Kohls with a coupon and quadruple kohls cash – it was a great deal! As far as I can tell the Cuisinart does not do potatoes, like the Hamilton Beach one did, but it is very nice and seems incredibly sturdy. It might sound a little strange, but the flavor of the cheese and heartiness of the beer combine to bring out the best flavors of both ingredients and make a fabulous warm dip that’s perfect for dipping soft pretzels, crusty bread, chips and yes, even veggies! You will love how easy this dip is to make. It uses only 4 ingredients and I bet you already have them on hand. 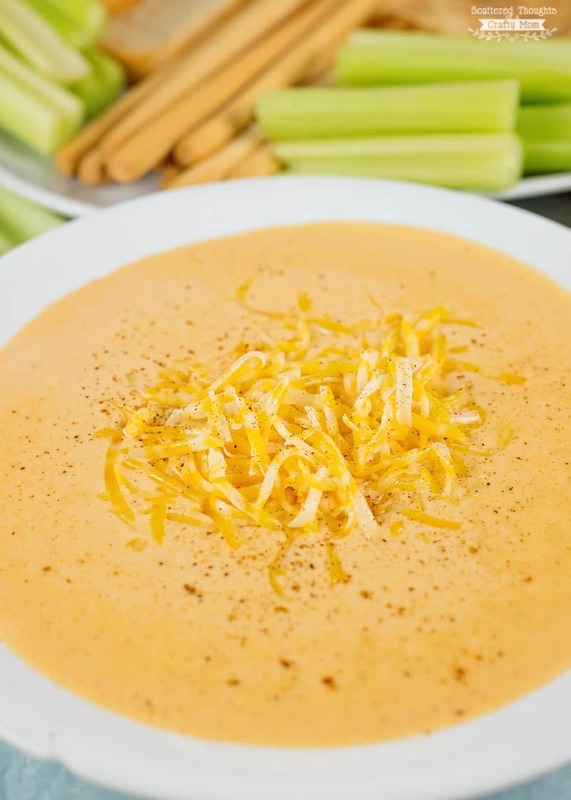 This particular Beer Cheese Dip Recipe is served warm and has the consistency of a queso dip. It’s perfect for dipping Chips, pretzels, breadsticks and yes, even celery for you dieters/low carbers out there! BTW if you are looking for a few new storage containers, I am loving my new Hefty Clip Fresh containers I picked up at Wal-mart! 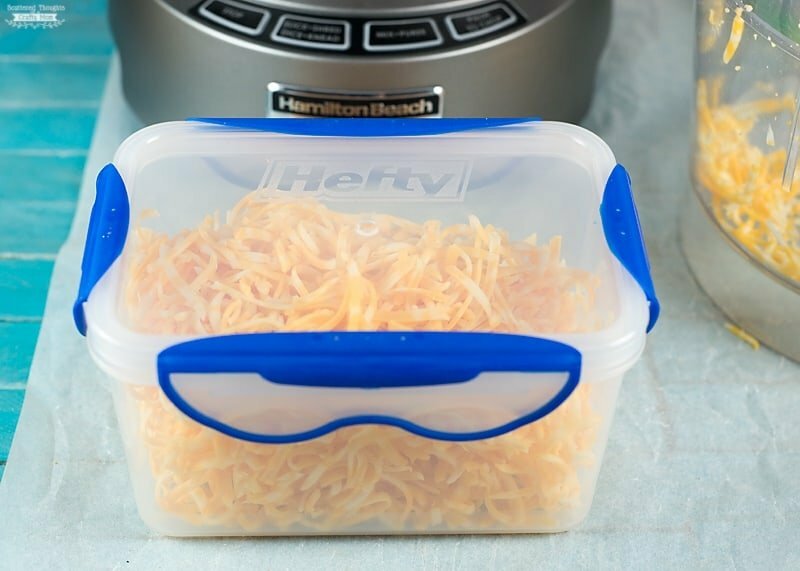 Perfect for storing cheese, soup, onions – just about anything you can think of. They are air tight and definitely keep food fresh for longer. 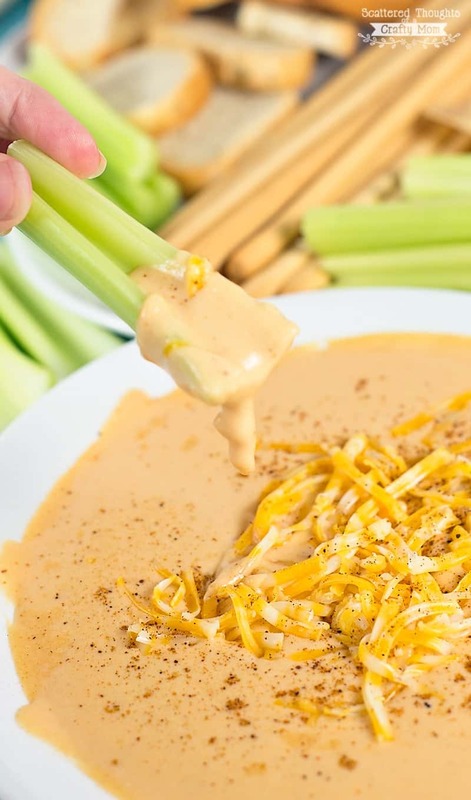 This Beer Cheese Dip is made with just a few ingredients (beer and cheese!) 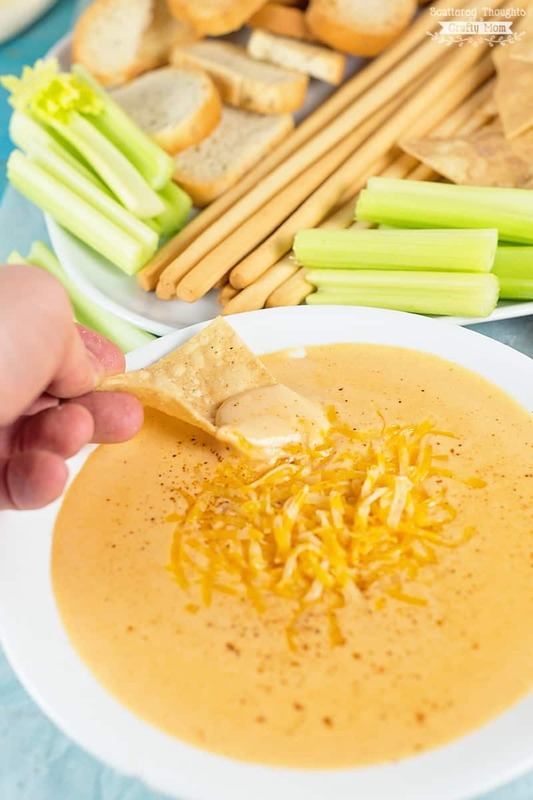 and is the perfect hot dip to serve on game day or anytime your beer lover’s get together! Add Beer to saucepan over medium heat, bring to simmer. Add cream cheese, whisking until melted and completely combined. Turn heat to low and add shredded cheese to the beer mixture, a cup at a time, stirring until the cheese melts and is smooth. Add a pinch or more of cayenne to taste. Serve with soft pretzels, crusty bread, chips or veggies. Enjoy! Make sure to use a beer that you like the taste of! Giveaway Terms and Conditions: To participate in any promotion or program, you must be 18 years or older and reside in the 50 United States or D.C. Hamilton Beach is unable to ship to P.O. Boxes. 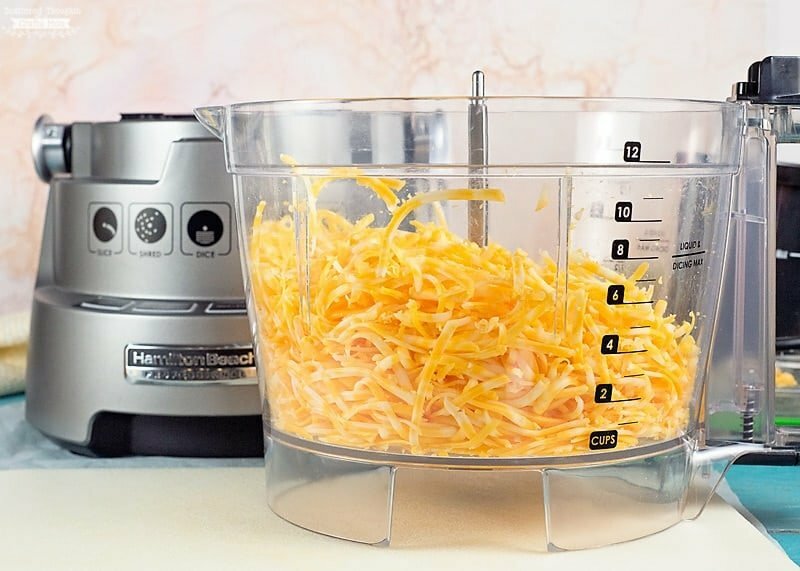 OMG I didn’t realize you could shred cheese so easily in a food processor! We just have a crappy little 2 cup model, and it does not do the trick. So maybe the first thing I would make is homemade mac & cheese? I had my mom’s old 2 cup processor for many years. I bet that thing is 30+ years old. It still works but isn’t much good for anything other than bread crumbs, lol. I would make Brussels Sprout Slaw. I have a bumper crop in e garden. Wow, I would love to win this! This food processor looks like it could keep up with my large family. 🙂 I think it would be great for shredding cheese and chopping vegetables! You have to go watch their demo video, when I saw them dropping whole potatoes into the feeding tube, I got so excited! The first thing I would make is German Potato Salad. This machine looks amazing! Broccoli Cheese Soup is the first thing I’d make. I would like to try making pie crust – heard the food processor works great for this. Yes! I have watched Martha Stewart make so many types of crusts with her professional food processor. I just purchased cheese that needs shredding! I would have to try shredding cheese first, maybe Broccoli and Rice casserole! Would have to see how it would do on cutting butter into flour for biscuits and pie crusts too! Thanks! Yes! I have been wanting to try to make Dirty “Rice” w/ cauliflower. I would love this.! I would make something with cheese! Thank you for the opportunity to win this food processor! I just found your community and like it very much! oh! I forgot to tell you what I’d make! I would make scalloped potatoes & ham! I would make pizza dough! I would make some cheesecake and use the processor to grind up some yummy crust! I would make potato pancakes! I have always wanted to make a breakfast casserole with hash brown base, would probably try grating potatoes for that! Id make latkes! My kids have been asking to make them and it’s a challenge in our smaller (broken-ish) processor- but yummmm! Thanks for the giveaway! I would make some homemade cheesy mashed potatoes! I would love to make some pico de gallo. What an awesome giveaway! I would make my Basil Pesto Recipe! Would try has browns first thing! I would love to make some salsa or hummus! Thanks for the chance to win! I would first make a Warm Spinach and Artichoke Dip. I would turn cauliflower into cauliflower rice to use as a pizza crust. I would grind up almonds and cashews to make macaroons. I would make a buffalo chicken dip ? The first thing I would make is Sriracha Hummus. It’s on my culinary bucket list! I love spicy foods and the hummus that’s available at the local market is just not hot enough. I”d also like to make my own nut butters. I would like to try pie crust in it. I’ve heard they are great for that. I’d make my Cajun Cheese Olive Dip with this! I would make pesto. Thank you! This dip looks like a great place to start! I’d make vegetable soup. I love it but never make it because I don’t enjoy cutting up all of the veggies. I’d love to learn to make the cheese biscuits that my father in law makes. You have to shred lots of cheese for them. I would use this for shredding cheese when I make my homemade mac and cheese. I love using block Cheese because it’s moist and I get tired of using the metal hand grater. 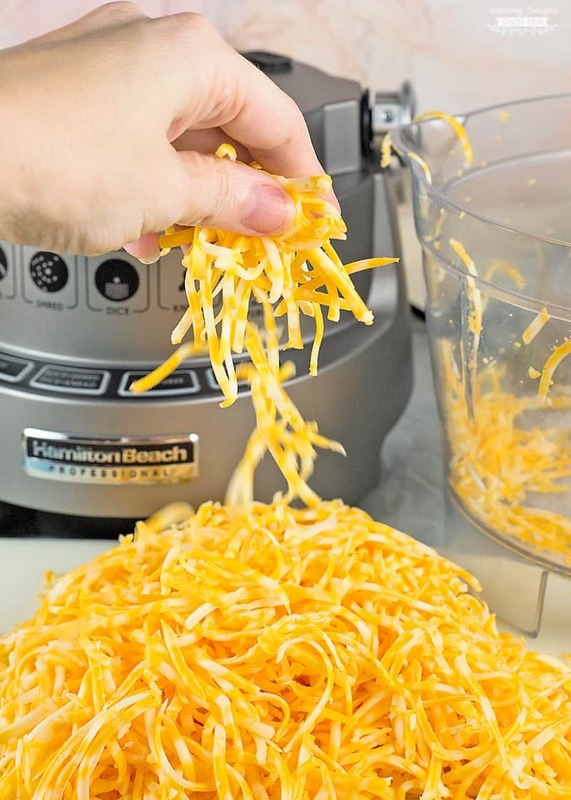 I have never owned a food processor and if I win this one, I am going I be shredding lots of cheese! I want to use this to make cole slaw, and then try making valuer cauliflower pizza crust!! I’m sure I’ll come up with a ton more uses. I would probably make salsa. first. Then maybchop some chicken for a chicken salad. The first thing that I would make is salsa. I may even start to like cooking – this processor looks easy to use and clean up. I would really love that! Some homemade butternut squash soup! So good! I would make this dip! Id make the beer cheese dip! Oh how I would love to add this Food Processor to my kitchen gadgets. We stopped buying pre-shredded cheese once I learned how much plastic is in it. The first thing I would do is use it to shred cheese instead of doing it by hand. Then I would move on to potatoes and other veggies and so much more! I would make Chimichurri Sauce first. I would make tacos… shredded cheese and homemade salsa. I’ll make some white bean hummus. I would shred a bunch of brussel sprouts for slaw. I would make some salsa first thing. No chopping. Yay! I would make my mom’s meat pie recipe. This would be amazing to shred different cheeses before settling in for a night with cheese fondue!! I would make bread dough. I would make my own hummus. I would make potato and cheese soup. I would make carrot slaw! I would make chicken salad or potato soup. I would make a delicious salsa! 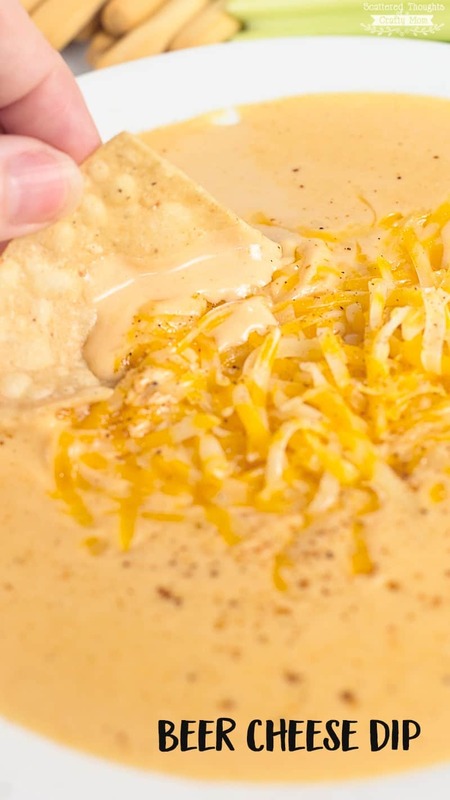 First things I would make….Beer Cheese!!!!! I would make home made pesto first. This is so nice! I would make salsa and hummus with the food processor. I would make salsa in it. The first thing I would make is black bean salsa. I would have a build your own taco/burrito buffet for the family and let the Hamilton Beach food processor do all the chopping. What a luxury that would be! I would make milk shakes. I’d grate a lot of cheese And make a breakfast casserole. I would make so fresh homemade salsa! This looks delicious – I cannot wait to try it! Thank you for a great recipe! I would make my mom’s salsa recipe first. I would make a beer cheese potato soup. I would make a cheesecake. Since hearing of sawdust in the shredded store cheese, I’ve been grating my own. My food processor is about worn out! I’d love to replace it with this one! I would love to win this processor.. I would make a green tomatillo sauce for my enchiladas! I would first make an avocado hummus. I would make the stuffing for my stuffed mushrooms and some cole slaw. Oh the things I could do with it! I would make homemade salsa. I would make this beer cheese before all else. I cook every day for my family of four and we try to stay healthy. The processor could help me to stay on track. 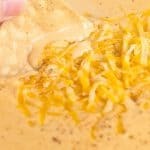 If I get very lucky to win this amazing giveaway, I would definitely make this delicious recipe; BEER CHEESE DIP RECIPE. Thanks for sharing. Would use it many baking and canning recipes.